Paddy Power is the biggest sportsbook in Ireland, making it the most successful one too. Besides operating through its sportsbook site, the company has a chain of retail outlets too spread all over Ireland, United Kingdom and Northern Ireland. The company was founded in 1988 by merging three Irish sports betting retailers into one superior betting company, and immediately Paddy Power adopted a more unconventional approach towards the industry and betting by committing itself to offering bigger value to its customers. The company achieved a meteoric rise and continued to grow strongly in the following years. All of this couldn’t be done without the appreciation of the customers and their ability to recognize Paddy Power as the sportsbooks they need. This appreciation goes both ways. Paddy Power is grateful for its customers sticking with its services, and in order to attract more of them, it offers a free bet to anyone that registers for an account, thus showing its gratitude at the very start. If you become a new customer of Paddy Power you will automatically get £50 for free in the form of a free bet. But, to activate the offer you have to first place your first ever stake at any of the sports markets offered. Place a bet on any selection with minimum odds of 1.50 (1/2) and Paddy Power will match the bet with the same amount no more than £50. This free bet offer is valid only for new customers at Paddy Power. 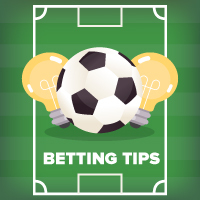 Once you receive the free bet you cannot withdraw it since it is not refundable, but you can use it to place a free bet and thus win free money which you can subsequently withdraw. Remember to use the free bet within 30 days of receiving it or it will expire and any free bet funds in your account will be revoked. Note that you cannot opt in for the free bet offer if you have made a deposit using Skrill or Neteller. Registering for an account at Paddy Power will help you get this free bet offer. If you want to get there with only one click, just click on the Paddy Power banner. There, at the Paddy Power website, you will have to look for the blue button at the top left of the home page that says ‘Open an Account’. By pressing on the Open an Account button, an online registration form will prompt you to enter your personal details, such as name, surname, address, country, telephone number etc. See that you provide correct details or you might encounter problems verifying your identity. After you have completed the registration process Paddy Power will prompt you to make a deposit. You can do that later if you haven’t decided on the amount you want to deposit. When you have deposited your desired amount you can begin playing for the free bet, which includes placing a first bet at odds of 1/2 (1.50) or greater. This applies to combined odds on multiples too. Once your qualifying first bet has been settled, Paddy Power will refund you with a free bet up to £50. Paddy Power operates over 350 retail outlets, most of them in Ireland (200+ shops), and the others spread across Northern Ireland and Great Britain. Nevertheless, almost two thirds of Paddy Power’s profits are regularly generated outside of Ireland. 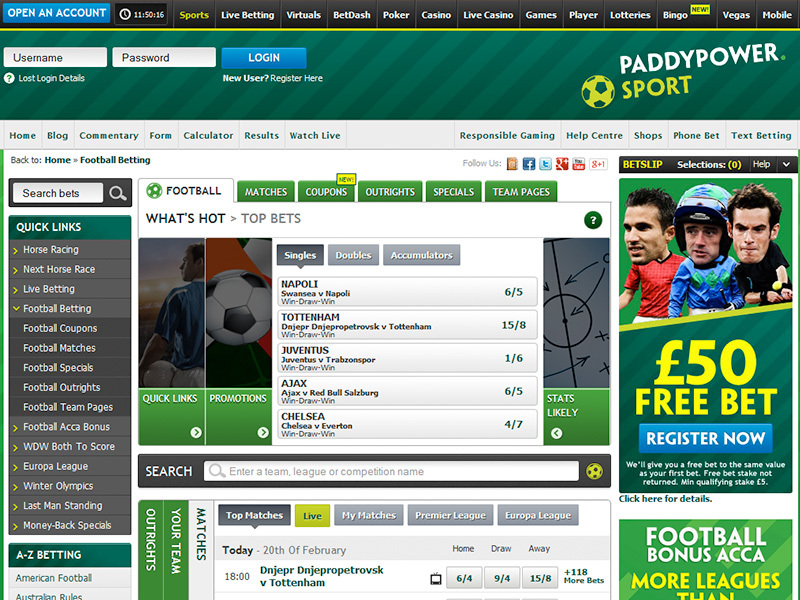 Currently, Paddy Power is the third largest online sportsbook in the United Kingdom. Paddy Power is registered in the Isle of Man. Visitors at Paddy Power can enjoy live commentary and reports on horse races across United Kingdom and Ireland, while betting with Best Odds Guaranteed offer, while over 3,000 live streams are offered every year for football, horse racing and other sports too. When Paddy Power launched its iPhone App for some time it was the only sportsbook to do so, manifesting its pioneering spirit that began and is maintained till today with its money back specials that they claim were the first to offer. Extremely suitable for betting on UK football, and European football in general, especially because of their Premier League money back specials. Paddy Power changes its odds more slowly to give its customers the advantage to get the best odds on all major British and European football leagues.